We’re here to guide you on which new Huawei P30 is best for you. This week has been a big one in the world of mobile phones. 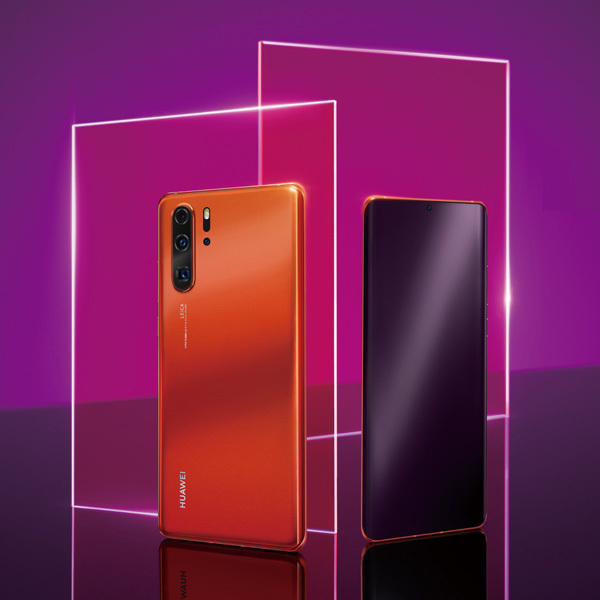 Huawei launched two brand new flagships: the P30 and P30 Pro. If you’re thinking of getting an upgrade, you may be wondering which is right for you. Let’s take a look at everything you need to know. There’s no denying that the Huawei P30 and P30 Pro are attractive smartphones. 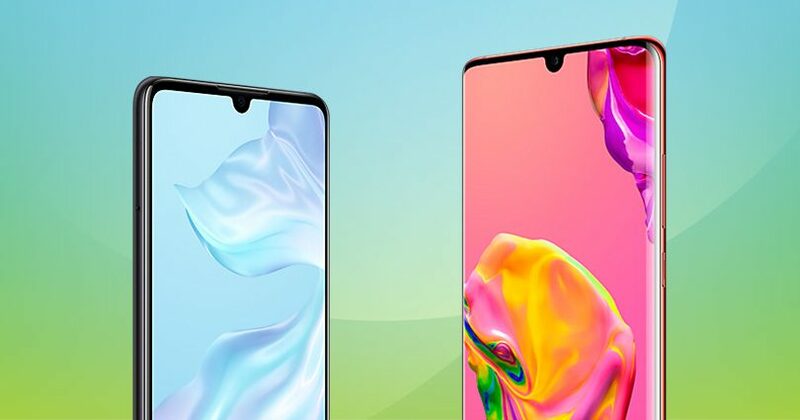 Both flagship devices boast a minimal design with an almost bezeless display and teardrop notch on the top. 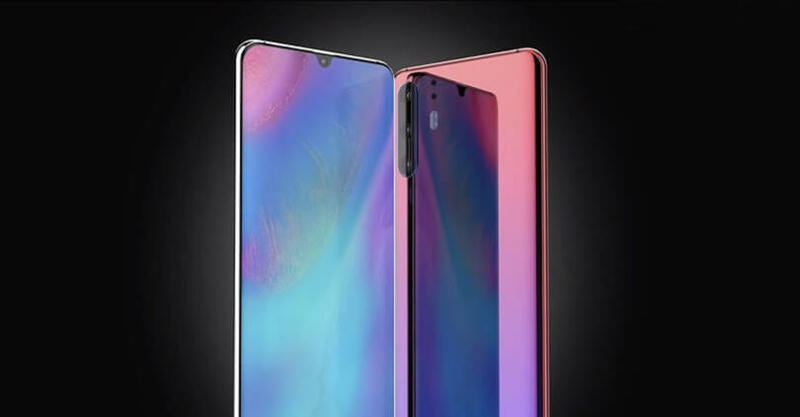 Huawei P30 comes in at 149.1 mm x 71.36 mm x 7.57 mm. All in all, it’s a decent sized phone, which should fit into the palm of your hand perfectly. On the other hand, if you’d like something a little larger, the P30 Pro is 158 mm x 73.4 mm x 8.41 mm. It sits more in the phablet region, which means that you get more phone (and screen!) for your money. When it comes to colours, you have more options with the Pro model too. The standard phone comes in Crystal, Aurora, and Black. Should you choose the larger model, though, you get the addition of Amber too. Choices, choices! Next up, let’s talk about the display. 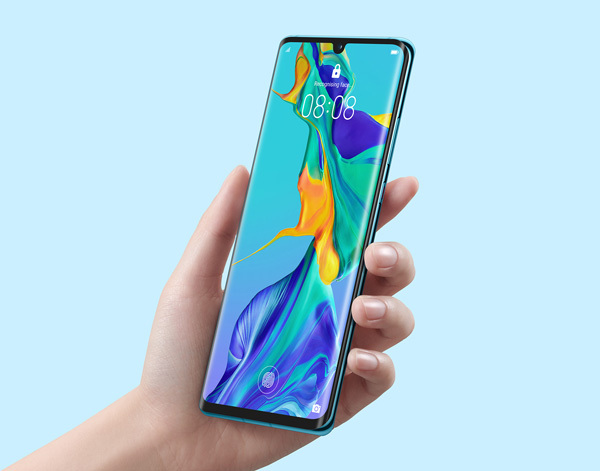 Huawei P30 boasts a seriously decent 6.1-inch OLED display with a 2340 x 1080 resolution. The screen’s edges curve at the side too, giving the device a cool, futuristic look. Of course, the P30 Pro has a slightly larger display, coming in at 6.47 inches. It’s also an OLED display with a 2340 x 1080 resolution. There’s not a whole load between the two screen sizes but you will notice a difference. If you’re used to having a larger style screen, opting for the Pro model will not disappoint. Then again, anything above a 6-inch screen tends to be more than enough for people. 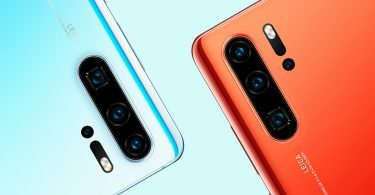 Cameras are a huge deal for the new Huawei P30 and P30 Pro models. 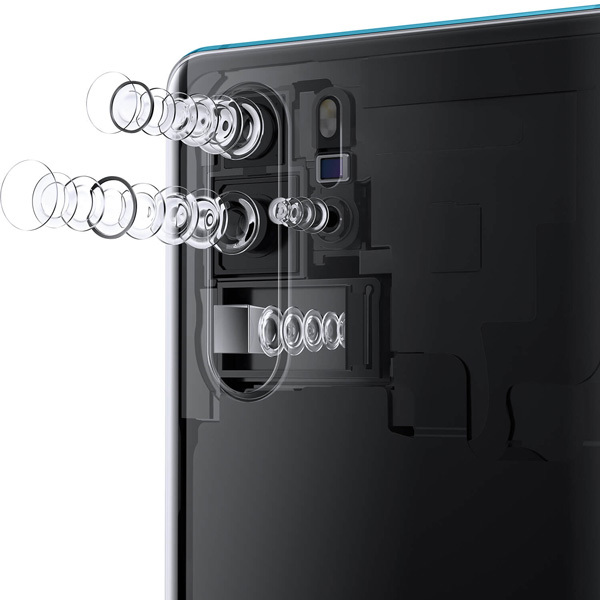 The brand has worked closely with Leica to create an astounding camera setup on both phones. 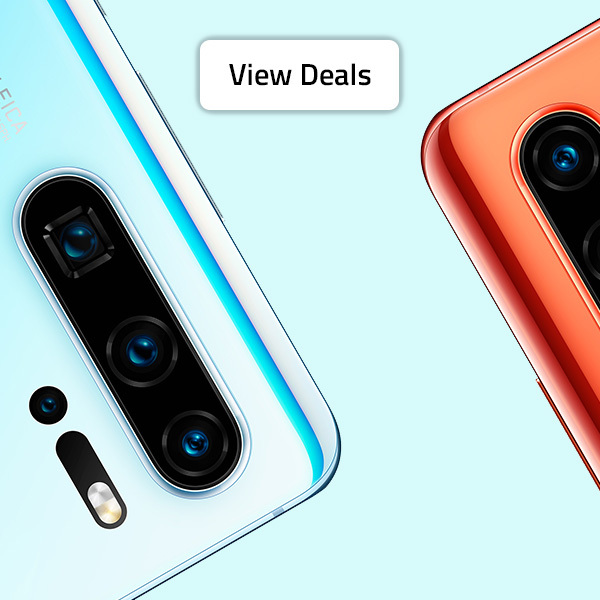 Both devices are equipped with a 32MP selfie camera and support autofocus and AI Image Stabilisation, which means that it should be easy to take stellar pictures. The standard model boasts a triple camera setup which includes a 40MP wide-angle lens, 16MP ultra-wide-angle Lens and 8MP telephoto. The setup on the Pro model takes things up another level with a 40MP wide-angle lens, 20MP ultra-wide-angle lens, an 8MP telephoto lens and a TOF lens (the latter being a time-of-flight camera that determines distances for a clearer image). Needless to say, either of these cameras will do the job! When it comes to features, there’s a whole load to love here. Both devices have the snazzy in-screen fingerprint sensor. They also boast OneHop, which allows you to send media (pictures and videos etc.) to your Huawei MateBook via Bluetooth in seconds. The Pro model has a couple of extra features including AR Measure and Huawei Acoustic Display Technology. The latter means that the audio comes through the screen, rather than a grille. It’s an interesting tech move and should win some people over. There’s not a load of difference here when it comes to battery size. The Huawei P30 has a 3650 mAh battery while the P30 Pro has a 4200 mAh battery. While the latter has a larger battery, it’s worth remembering that the device is bigger and will need more power. Both new Huawei P30 mobiles have SuperCharge, which means that you can power up super quickly. The standard P30 refuels up to 60% in just 30 minutes, while the P30 Pro edges it with up to 70% in the same time frame. The Huawei P30 Pro’s reverse wireless charging feature is interesting too – it allows you to charge up other devices by putting them on the back of the phone. Neat stuff. Now that you’ve got an overview of the two new Huawei smartphones, which should you choose? Should you choose to go for the Pro model, you do get a couple more extras, such as reverse wireless charging and an extra colour option. Then again, these are likely things that you can do without if you’d prefer the standard-sized device. The choice is yours! 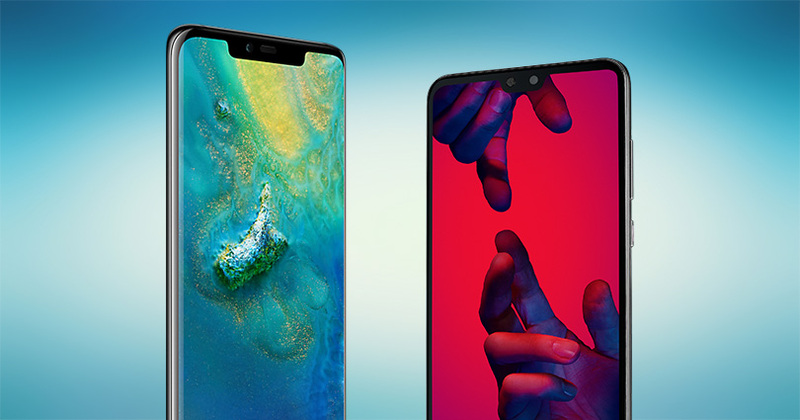 Huawei Mate 20 Pro vs. Huawei P20 Pro: Which is the best mobile?